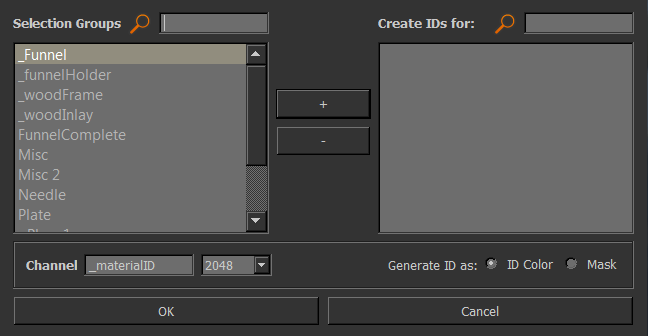 Material ID Channels are a useful way to have a single channel for multiple material masks. Optionally the tool allows you to create individual mask layers from each selection group. The name of the channel to create as 'Material ID' Channel.